First off let's clean those craters out. 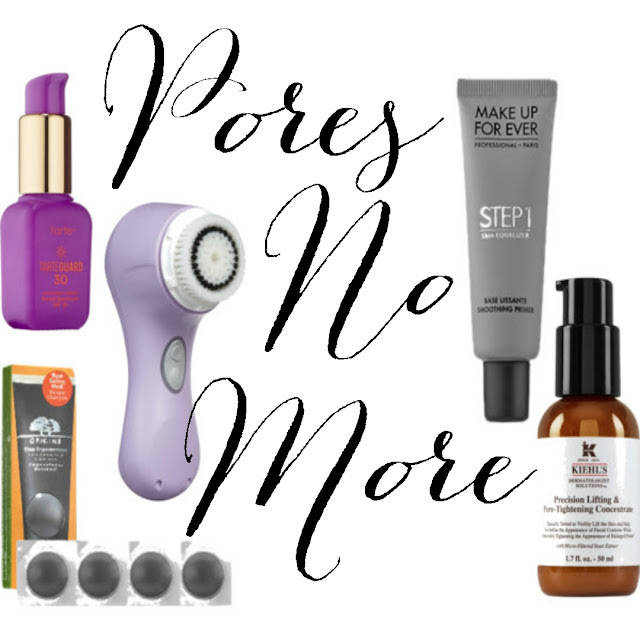 Your pores are large from excessive oil and inflammation. Go with a charcoal face wash. Clear Improvement® Active Charcoal Mask Pods. Use a gentle exfoliant you don't want to inflame the skin. Only 2-3 times a week, I swear by this. Tighten, strengthen, and firm pore walls, decreasing diameter and restore a circular appearance. Kiehls precision lifting and pore tightening concentrate Shield from the sun with sunscreen! Tarte has my absolute favorite. UV rays kill collagen and collagen is essential for a tight face. Blur them visually full press so they appear smaller and smoother, go for an oil free formula. This primer will fill them in and cause a soft focus effect by refracting light with silicones.Use a matte or natural finish foundation. Same goes for blush.